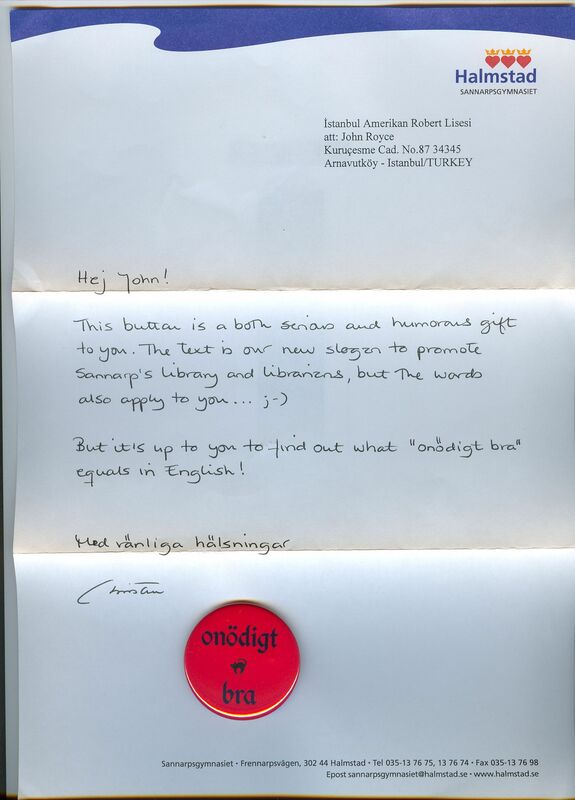 From S.P., a thank you for my response on the iSkoodle librarians’ forum, August 2016. Another thank you, email, October 2018, this from S.O. 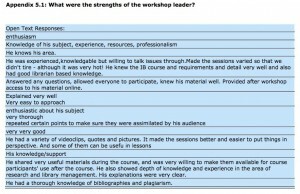 Anonymous response in evaluation form, DP online workshop, the Role of the Librarian, May 2018. Anonymous response in evaluation form, DP online workshop, the Role of the Supervisor in Extended Essay, October 2017. Onödigt bra! / Going the extra mile. From F.H., personal email, 20 May 2011. 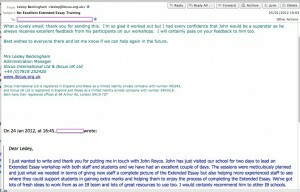 From N.T., letter posted on iSkoodle, Librarians’ Forum, 21 December 2012. 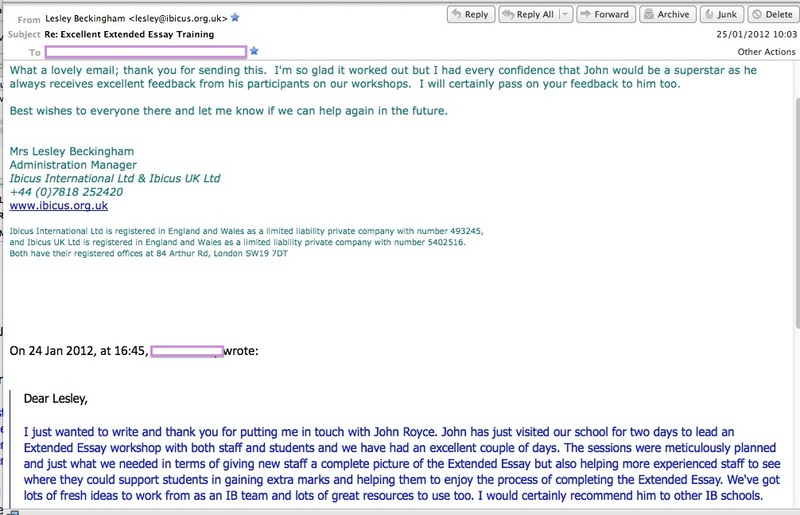 From Lesley at Ibicus and R.G., personal email following an in-school in-service workshop, January 2012. 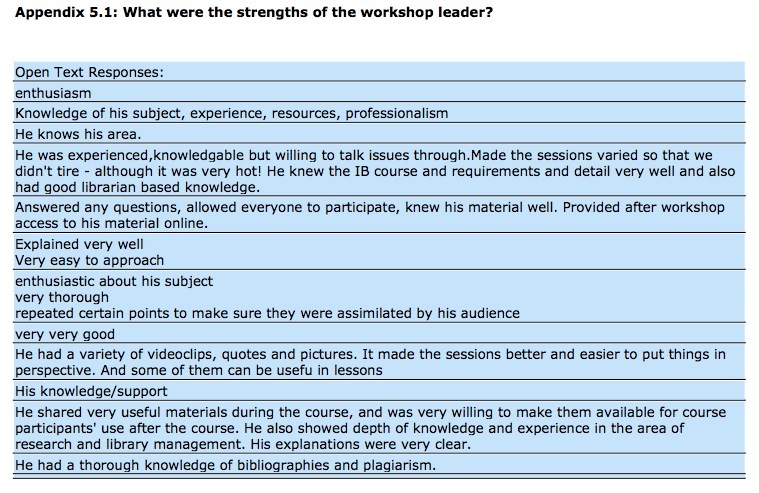 Feedback to IBCA : IBAEM DP Librarians’ Workshop, London 2010.
anonymous feedback submitted to IBCA. Receiving the IASL International School Librarianship Award 2011, during the ECIS Annual Teacher Conference in Lisbon, November 2011. 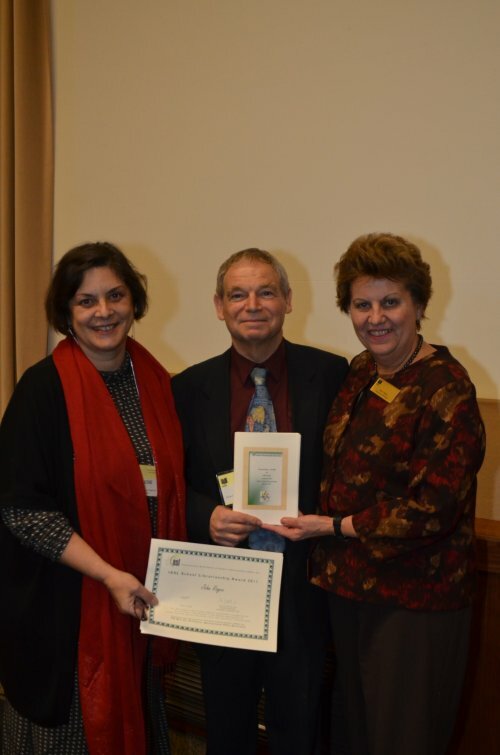 Left is Maria José Vitorino (representing IASL), right is Jean Vahey (Executive Director of ECIS). Photograph by and with kind permission of ECIS.